When gymnastics enthusiasts think of the Olympic Games, their minds automatically go to Romania based on the success that the gymnastics teams of the past have had. Fans were sorely disappointed to realize that in a rare circumstance there would not be a Romanian team competing against the best gymnasts from around the world. It almost seemed impossible to believe that the country that introduced the brilliant 'perfect 10' scorer Nadia Comaneci to the rest of the world could have failed to qualify a gymnastics team to compete, and yet that is exactly what happened. So how could it be that the country that everyone not only is eager to see compete but also expects to be able to watch would not be vying for medals at the 2016 Summer Olympics in Brazil? Tension always runs high at any major sporting event, and it was no different on that fateful weekend when the best gymnasts Romania had to offer stepped out onto the podium and acknowledged the judges who would be deciding whether they made the top four. 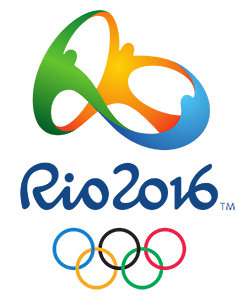 It took no more than 2 hours for the team to have their hopes of attending the 2016 Summer Games in Rio de Janeiro dashed. It appeared right from the get-go that the Romanian team was struggling. 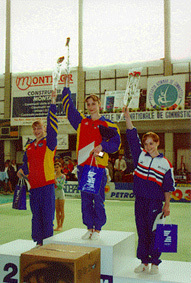 Known to be their weakest event the team began competing for one of the coveted top four to qualify by taking to the uneven bars. Though they tried valiantly to score well a fall along with less than stellar performances lowered the team's overall score enough that it would have taken a mammoth effort to turn things around. Despite having a tradition of strength on the beam, the next event, two falls plummeted their hopes even further. Falls on both the floor and vault events put their qualifying into serious doubt even though they managed to gain second place in their subdivision. With stronger teams competing in other subdivisions, a second place was unlikely to be enough to ensure the Romanian gymnastics team would be one of the top four teams. So why was the Romanian team so 'off their game' that weekend? Speculation was abundant at the time, with the most common reason given is the loss of their top team members Laura Jurca and Larissa Iordache just weeks prior to the event. A particularly painful loss to the team was Larissa Iordache, whom could always be relied upon to excel. Her consistent high scoring in all events was instrumental in pulling up the overall score for the team. In past Romania has always had other gymnasts capable of filling vacancies in their Olympic team, and even though they may not be of the world-class standard of the likes of Iordache, they would have fared well enough to ensure the team qualified. In 2016 this was sadly not to be. Despite having a number of other gymnasts available they were not of an adequate standard to be added to the team, leaving Romania with one of the weakest gymnastics teams in their history of the Olympic competition. It was only a matter of time before Romania failed to qualify for an Olympics. Recent team performances had been lacking, so for some critics, it was no surprise at all that Romania would not be competing in the gymnastics events at the 2016 Summer Olympics. Even gold medalist Catalina Ponor's decision to come out of retirement to assist the team to qualify was not enough, though it was gutsy of her to try. She did perform well until it came to the vault where she fell hard. Blame for the Romanian gymnastics team's failure to qualify has been landed on many shoulders, including the gymnasts themselves. Some have said that the enthusiasm and love for the sport are not present in the competitors today as it was many years ago. Others have said that changing coaches on several occasions made it difficult for the gymnasts to feel confident. Lack of experience has also been claimed as a valid reason for their loss of a place in the Olympics. There is considerable concern regarding the future of gymnastics in Romania, both on a national and international level. The country is dwindling in population and is suffering as a result. In addition, the country does not have enough top-quality training facilities, unlike many other countries. Sadly, Romania is now seen as somewhat of a 'has been' when it comes to competitive artistic gymnastics, and there are strong doubts as to whether economic circumstances will allow the country to regain its position atop the gymnastics ladder. Should these doubts become a reality, it will be not only a great loss for Romania but also for the gymnastics world as a whole.